Properties in Medina Museum average 4.6 out of 5 stars. Property in the field and a river valley This just outside the city of Braga. Property 25: Property in the field and a river valley This just outside the city of Braga. River House - Eido orchard. With garden, playground and barbecue. Property 32: River House - Eido orchard. With garden, playground and barbecue. 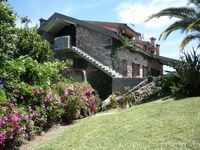 Casa da Costeira your quinta in the middle of nature. 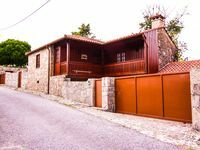 Property 47: Casa da Costeira your quinta in the middle of nature. Enjoyed a lovely 5 night stay at Casa do Alto during our travels through Portugal. We stayed with our two kids, who loved being able to walk the cobblestone paths and roam the orchard. We had stayed in downtown Braga also but we were ready for the peace and quiet of the countryside. This rental is still very close to the city and all it&rsquo;s amenities, but offers beautiful scenery and places to walk or hike right from the house, including a 2,000 Roman road. The apartment was just lovely, as well as the hosts. Very accommodating, and offered us some great suggestions for things to do the area. Highly recommend this place.